But I may have found the best saving piece of the puzzle. Deliciousness from the little Asian grocery stores in the neighborhood. Soy Sauce is at least a dollar less than at the grocery store – and in WAY bigger bottles. Frozen and fresh veggies are cheaper. But this is my new secret weapon. $1.89. 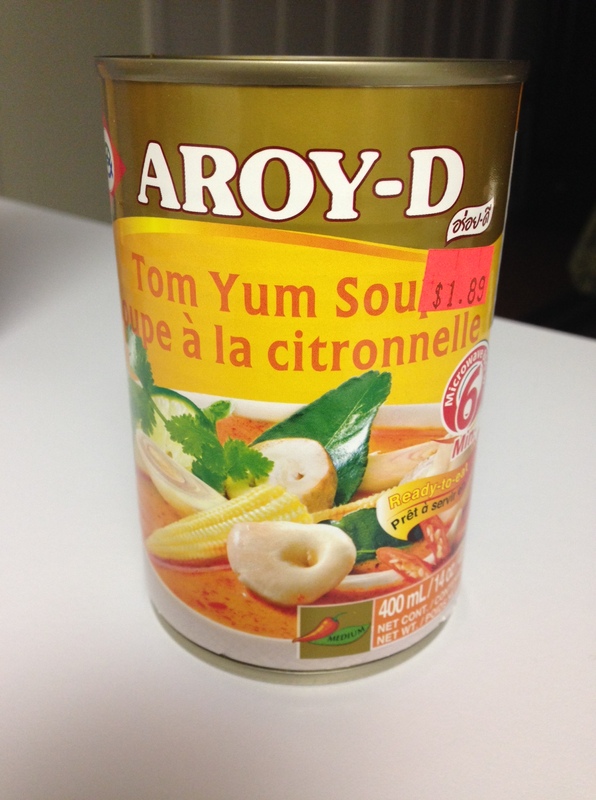 Can of Tom Yum soup. 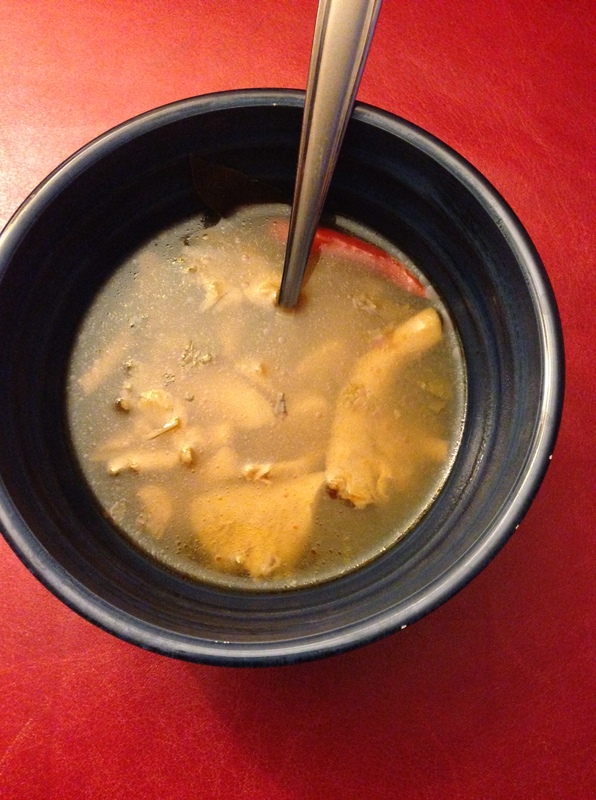 It has pieces of lemongrass, a hot red pepper, and giant mushrooms in the can…then you can add in chicken or shrimp if you want. But you don’t need to. This tastes exactly like the soup I get at our local Thai restaurant – only with a $2.00 savings. This soup isn’t for the faint of heart. I just had this for dinner. My throat has been bugging me for a few days…but no longer. I also can’t feel my lips. But it was SO delicious. So you don’t have to buy a bunch of strange ingredients to eat Thai at home. You don’t need to overspend whenever you get a craving. And chances are, you have an international grocery somewhere near you. I know of 4 within a few miles of our home. They are all small, all in strip malls, and all of them are run by wonderful, hard working new Americans, who are going after their own dream.